Hyperconverged infrastructure streamlines the deployment, management and scaling of datacenter resources by combining x86-based server and storage resources with intelligent software in a turnkey software-defined solution. Separate servers, storage networks and storage arrays can be replaced with a single hyperconverged solution to create an agile datacenter that easily scales with your business. 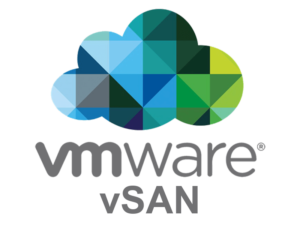 Accelerate infrastructure modernization with VMware vSAN™ to make IT a strategic, cost-effective advantage for your company. By powering the leading Hyper-Converged Infrastructure (HCI) solutions, vSAN helps organizations evolve their data center without risk, control IT costs and scale to address tomorrow’s business needs. The Dell EMC VxRail Appliance family simplifies deployment of virtualized applications. With 73% faster deployment than a traditional infrastructure, VxRail allows you to leverage the continuous innovation of Dell EMC PowerEdge platforms and VMware vSAN to predictably evolve your VMware environment while delivering a staggering 619% ROI1 over five years. 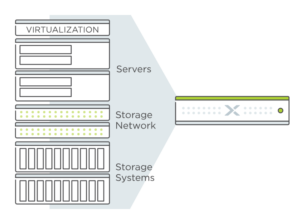 Nutanix pioneered hyperconverged infrastructure, and continues to evolve the platform. We are helping to define the new era with an Enterprise Cloud that bridges the wide gap between traditional infrastructure and public cloud services. Nutanix Enterprise Cloud unifies your private and public clouds, and simplifies the management of multi-cloud deployments with one OS, one clickTM. 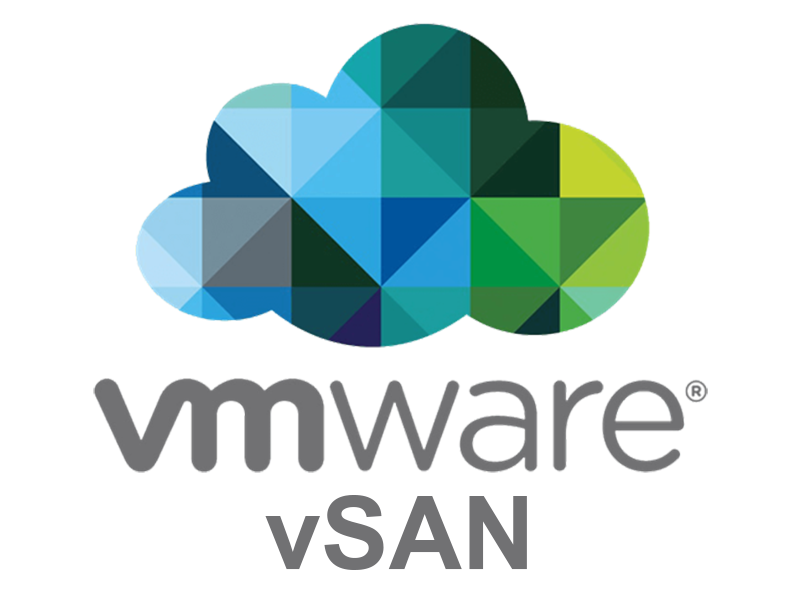 Streamline IT operations with a fast, simple, and efficient hyperconverged platform. 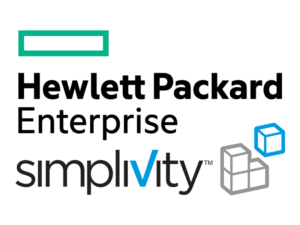 HPE SimpliVity combines your IT infrastructure and advanced data services into a single, integrated all-flash solution at a fraction of the cost of traditional and public cloud offerings. 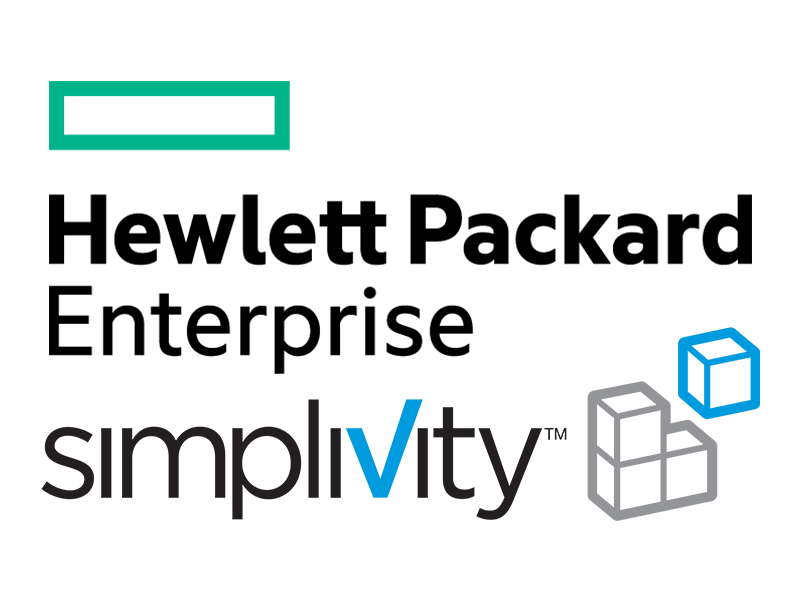 This award-winning hyperconverged solution converges the entire IT stack and offers the industry’s most complete guarantee.